Judo Olympian Matt D’Aquino teaches a version of Fireman’s Carry called “Wrong Leg Fireman’s Carry”. 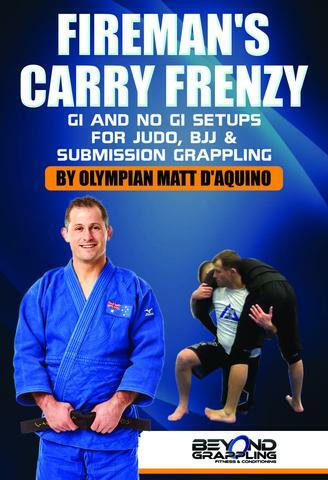 This is a clip from Matt’s new instructional series on BJJ Fanatics “Fireman’s Carry Frenzy.” Matt D’Aquino is a world renowned Judo coach, 4th degree Judo Black belt and BJJ Brown Belt. The instructional covers all aspects of the firemans / Kataguruma in which Matt is an expert in.